English Teacher and novelist, Roger Colby, proses teaching Tolkien in school. Here he explains in his excellent post. Your thoughts? Thanks for the feedback to my previous Tolkien posts. Have a great weekend. J.R.R. Tolkien’s The Lord of the Rings is probably one of the most important texts written in the 20th century. It is also a text that most students can read without much difficulty if given proper time. Most teachers do not realize that the epic saga can be used to teach most of the Common Core Standards. I have devised a unit for English teachers to use which is based on a unit I taught a few years ago when I was experimenting with using Advanced Placement style instruction in an at-level classroom. It will work well for Common Core and will work for a freshman or sophomore class as juniors focus on American literature while seniors focus on British literature. This entry was posted in General Fantasy, Other Authors and tagged common core, common core essay rubric, common core high school lesson plans, common core reading unit, English. LOTR, J.R.R. 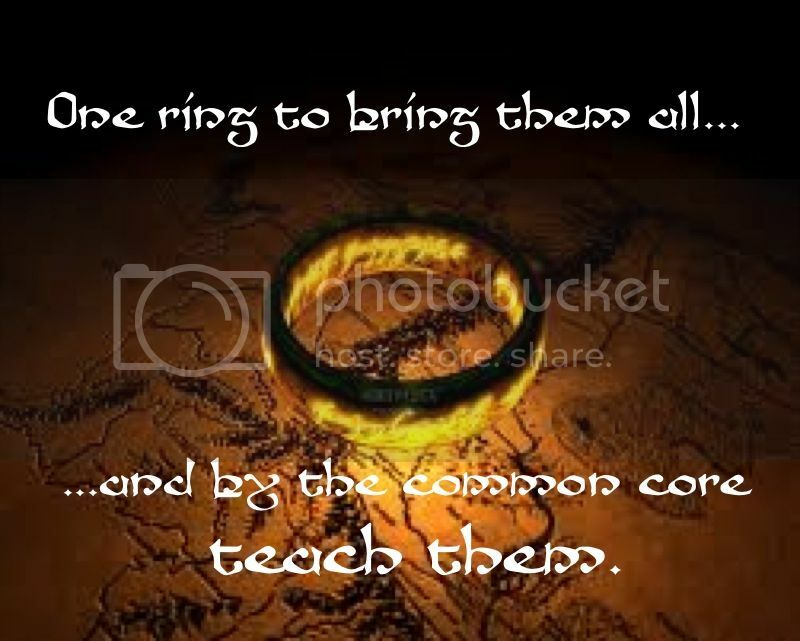 Tolkien, literature, Return of the King, teaching common core reading, teaching the lord of the rings, teaching Tolkien., The Fellowship, The Lord of the Rings, Two Towers.